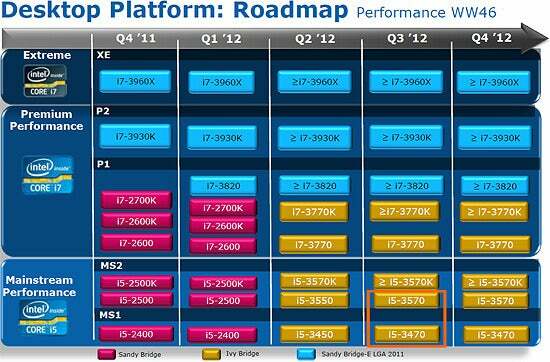 Intel today introduced its new processors Ivy Bridge. They represent the third generation of Intel Core chips. This time they are manufactured with the new technology of transistors 22 nanometers (nm), which means that the width of a human hair holds more than 4,000 chips. Thanks to technological change, the company manages to increase performance by 20 percent while consumption is reduced by a fifth over the previous generation chips. This 22nm microprocessor technology works with 3-D transistors Tri-Gate. The above were 2-D (planar type) while the new have a 3-D structure, which adds a kind of small silica vertical fins to reduce energy leakage. This design provides high energy efficiency but also provides the performance characteristic of high-end processors. The initial release includes thirteen quad-core processors, for most desktops. Instead, the new dual-core processors, low power netbook computers aimed at will not be available until later this spring. 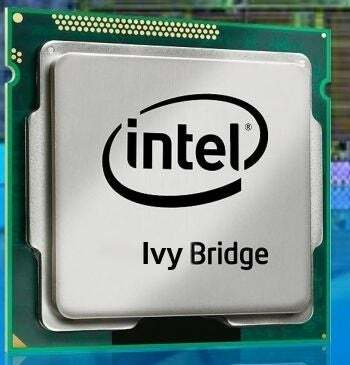 Computer manufacturers are very hopeful with the release of the new Intel Ivy Bridge, waiting to trigger equipment sales. In fact, one of the company responsible for the comment just the BBC that there are more than 300 mobile and portable products in development with their new processors, and more than 270 desktop computers, many of them all-in-one. The company has set up three manufacturing plants for new chips , and a fourth will go into production over the year. With that Intel intends to increase by 50 percent the supply of processors over the previous generation. The Ivy Bridge have several developments. First, are the graphics performance improvements, which are greater in those configurations that use a GPU (Graphics Processing Unit) integrated, rather than a separate graphics card. This will facilitate the manufacture of equipment capable of working with 4K resolution video (like most advanced camcorders on the market) and to handle high-definition video calls. Of those graphics performance improvements also will benefit all users who want to recode videos to pass to a tablet or a smartphone or send e-mail. Another advantage is the compatibility with USB 3.0 included, which will reduce production costs for manufacturers. So, will serve to extend the dissemination of that port high-speed hard drives, cameras and other peripherals. Among the new features of Ivy Bridge processors include several video-related technologies, including Intel Wireless Display (WiDi) that can display videos from laptop on the TV screen wirelessly with multichannel sound and full HD quality. For its part, Intel Clear Video HD Technology helps play Blu-ray movies and streaming videos from the web in HD 1080p.